Here is an image of a recent job done on our Quickmill Annihilator Machining center delivered to a customer in the Midwest. 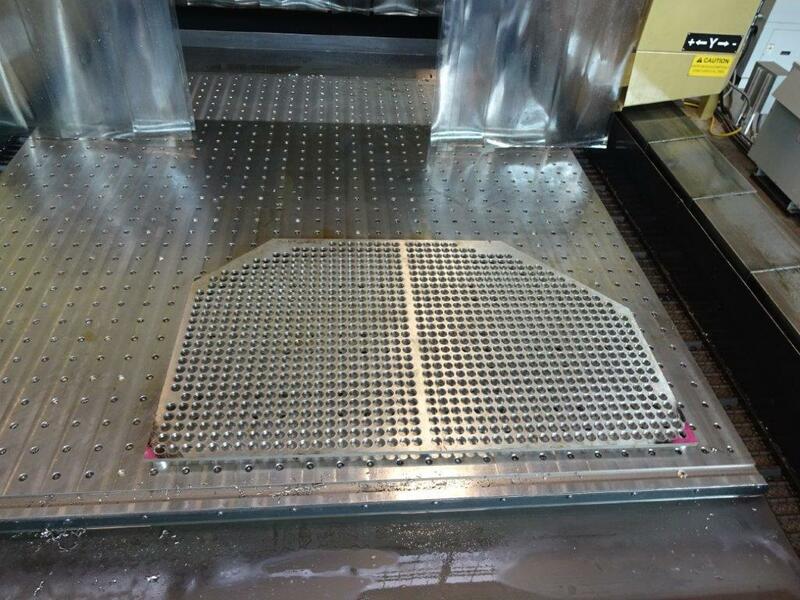 This piece is a tubesheet made of 1/2″ thick A825 with 1,036 holes drilled into it. This job is another example of our ability to deliver near-net shapes in hard-to-find grades at unmatched speed. Here is a shot of a recent piece for a customer of ours from the West Coast. 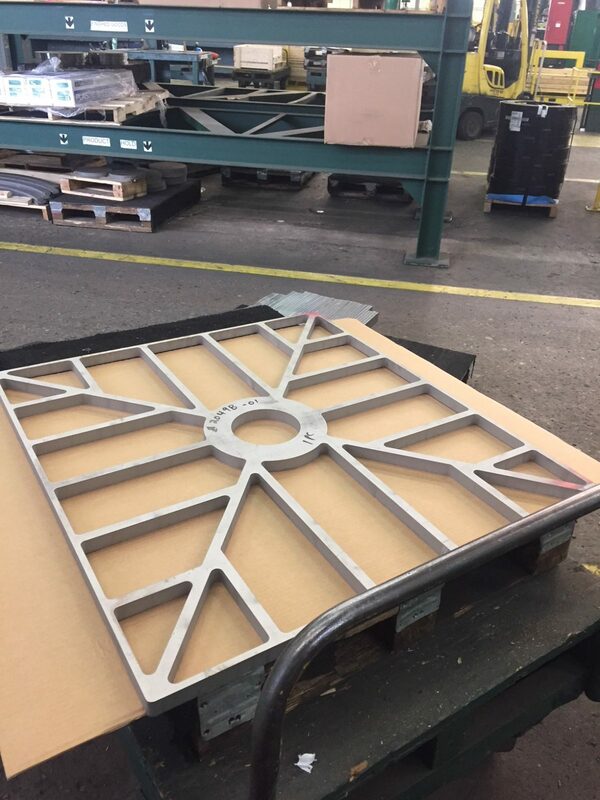 This piece was cut on one of our waterjet machines per the drawing our customer provided. It is made of 1″ thick 304L. It’s another example of the intricate shapes we can cut from our vast inventory to ensure quick deliveries. 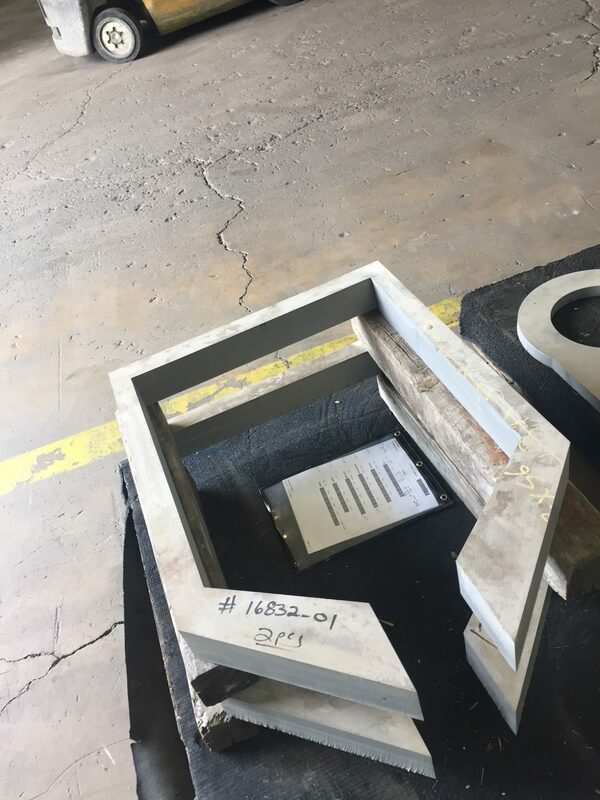 Here is a job we did that consists of 2 pieces of 3″ thick 316L for a machining & fabrication customer in the Northeast. It was cut to our customer’s specifications in our waterjet cutting center. 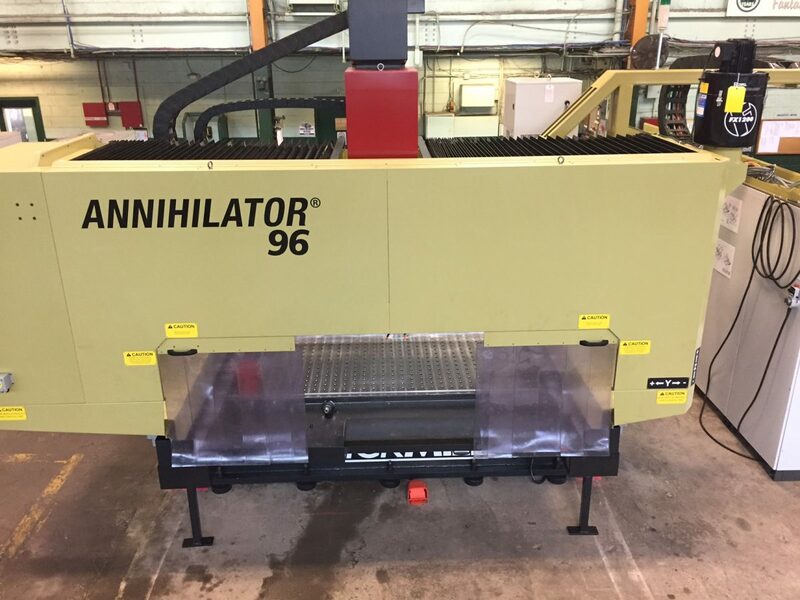 Sandmeyer Steel Company has expanded its extensive processing capabilities with a new Quickmill Annihilator Machining Center. The new machine can handle stacked drilling through 8.0″ (203.2mm). With the expansion of its processing capabilities, Sandmeyer bolsters its ability to deliver near-net shapes in hard-to-find grades at unmatched speed. See below to watch the machine in action.